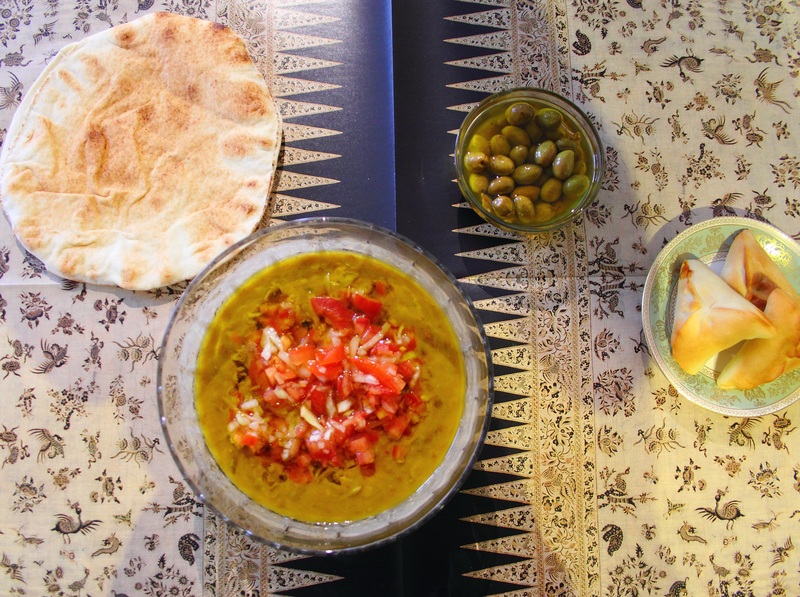 Lazy Sunday Breakfast: Foul Medammes (Fava Beans) – Flogging Delicious! During the week, breakfast is usually a very rushed affair – a quick cereal with fresh fruit thrown over, or maybe a chia seed pudding scoffed in a rather ungraceful manner at my desk before I knuckle down and get to work. So at the weekends, I really love to clear my mornings to make breakfasts that I can sit and take my time over – squeezing lemons, chopping vegetables and garnishes and making real coffee. It definitely beats the instant stuff at the office! This Sunday is all about Foul Medammes – slowly cooked fava beans and chickpeas served with olive oil, garlic, onions, lemons and tomatoes. This is some serious fuel, which will keep you full (of beans!) till the evening, so make sure you’re not planning to have a big Sunday lunch! Soak the chickpeas and fava beans in plenty of cold water overnight, or for a minimum of 12 hours, with 1 tsp bicarbonate of soda. Drain and rinse very well, before placing in two saucepans filled with boiling water and boiling for about 10 minutes. You can then reduce the heat and simmer for a further hour and a half, until the chickpeas and beans are cooked all the way through and have softened. N.B. It’s always important to check the soaking and cooking instructions for dried pulses, so be sure to have a look at the backs of the packets for each. If you’re low on time, you can substitute the dried beans for 1 can of ready-cooked fava beans, heated on low heat until hot all the way through. After boiling, drain the chickpeas completely, and drain the majority of the water from the fava beans, keeping about ½ cup. Stir in the chickpeas with the fava beans and, using the back of a fork, mash lightly until the pulses are coarsely squashed. In a large bowl, add in your garlic and lemon juice. Stir in your bean and chickpea mixture, then top with the tomatoes, onions and olive oil. If you like, you can also top with the parsley – it’s delicious with or without!